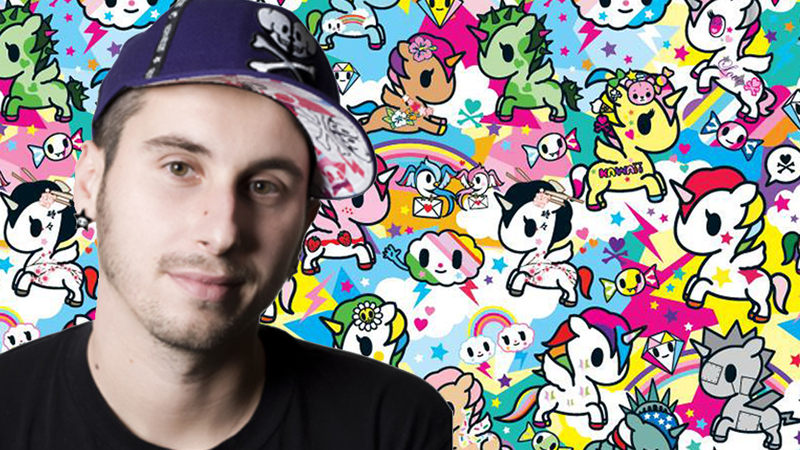 One of the guests for AsiaPOP Comicon 2017 that I’m sure many are looking forward to is Simone Legno, the man behind Tokidoki. You’ll always find a huge line for his booth as he has many MANY awesome things that you can purchase from apparel to toys to many many more! As today marks the start of APCC 2017, we thought we’d share with you this awesome interview we recently had with the man himself. Get to know Simone Legno as he makes his return to Manila at APCC! UnGeek (UG): A few years ago, you mentioned that you used Monsters and Kaijus as inspirations in some of your works. What things in pop culture now do you draw inspiration from? Why have these things caught your attention? Simone Legno (SL): In addition to monsters and kaijus, I have always been really passionate about robots. I collect robots and have a large collection at home. I love their shapes and I try to include them in the tokidoki world. I also love super heroes. As a kid, I would read all about them in comics. I really like the vintage rendering of classic American super heroes as well as Japanese super sentai heroes. UG: Do you draw inspiration from any other artists? SL: Beautiful art motivates me. When I see beautiful art – either at an art show or on social media, I just want to stop what I’m doing and do art. In terms of inspiration and in terms of technique, I get inspiration from modern European artists like Toulouse Lautrec, Kees van Dongen and Modigliani. The inspiration for the tokidoki girls comes from the Japanese masters and their beautiful multi-dimensional art. Artists like Hokusai, Hiroshige and Utamaro inspire me. All of this has enabled me to develop the unique style that I have today. 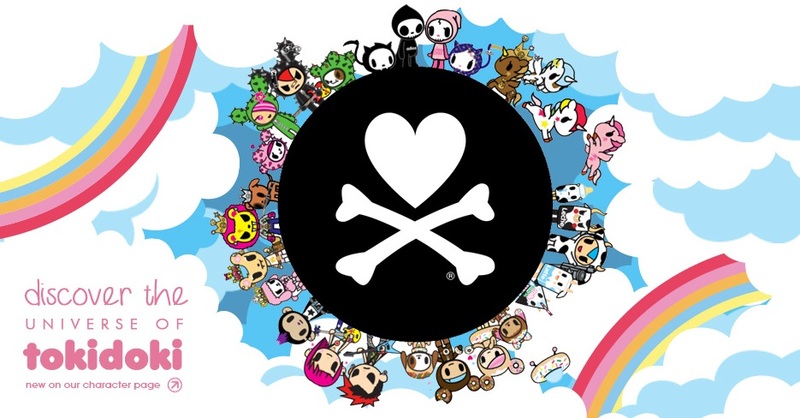 UG: What, in your opinion, has contributed the most in terms of Tokidoki’s success? SL: The fact that tokidoki is very unique and that there is art and characters that appeal to everyone. People of different ages and subcultures can appreciate it. As a company, I think that our success is due to our incredible team and I have a great business partner, Pooneh Mohajer, who believes in my vision and my art. We are always trying to do something original and different. We try to be out of the box while at the same time, also giving a lot of attention to design. UG: What is your process in making your designs? Do you have a ritual like taking long walks for inspiration or taking a few hours of your day to just make designs? SL: I don’t really have a ritual. I thrive under pressure and it’s my job to come up with ideas. I find that the best way for me to get the designs done is when I’m alone. I am constantly thinking about the characters and designs – it’s just a part of who I am. UG: What is the most important advice you can give to up-and-coming artists and designers? SL: I think the most important thing is to be as original as possible. Yes, you can take inspiration from others, but never copy. You run the risk of ruining your reputation forever in the art community if you copy someone else’s work. I also think that working on your social media presence is important. Really take the time to carefully curate your online portfolio. UG: Are there any special things we can look forward to from Tokidoki in APCC 2017? SL: We have a new booth we are debuting for APCC along with some amazing new toys and collaborations. One of the items this year I’m most proud of is the 10” Mermicono Statue “Aquamarina” this is the first large scale collectible we have made for specifically for tokidoki. Some other items we will have this year are the Mermicorno Series 2, Unicorno Metallico Series 2, Sea Punk Frenzies Series 1 along with collaboration t-shirts with Hello Kitty, Marvel, Sponge BobSquare Pants and Iron Maiden. UG: What hobbies or interests are you into that make you a geek? SL: I’m a big robot fan. I’m always checking out online sales for the pieces that I need for my collection. I also really love anime music. I listen to it in both Italian and Japanese when I’m working out at the gym. In general, the line of work that I am in and the fact that I attend many comic cons throughout the world makes me a geek. I still watch anime every day with my daughter and I show her the shows that I like and grew up watching like Doraemon and Lupin. I’ve also introduced her to more robot-focused anime like Manzinger and Gundam. Catch Simone Legno and Tokidoki at APCC 2017 starting today (August 25) until Sunday (August 27)! See you all there! Everything’s Set for the Biggest AsiaPOP Comicon Yet! Don’t Miss a Thing! Here’s the Schedule for APCC Manila 2017! An Interview with APCC 2017 Guests Pion Kim, Philip Odango, and Jin! Previous articleEverything’s Set for the Biggest AsiaPOP Comicon Yet! Next articleSecret of Mana Remake Heads for the PlayStation 4, Vita and PC!